Established in 1923, Mount Isa is a vibrant outback mining city, situated in North West Queensland, Australia. Often referred to as “The Isa” by locals, Mount Isa is approximately 1830km from Brisbane and 904km from Townsville by road. With an extremely multi-cultural population of 22 000, the city supports the substantial mines of Glencore, along with other small and large operations in the area. Mount Isa has vast mineral deposits with the underground operations being one of the biggest of its kind in the world. The production of lead, silver, zinc and copper ore is major among the world market. The city is also a service centre for the cattle industry, with outback stations and townships being a part of the hinterland up the Gulf country and across to the Northern Territory. Mount Isa is serviced by several airlines, including Qantas, Virgin and Rex. Flights arrive daily from Cairns, Townsville and Brisbane. Coach and rail also operate with both freight and passenger services. Mount Isa enjoys a fabulous climate with an average of 9.5 hours sunshine a day and less than 50 days of rain per year. Winter is pleasant with average day time temperatures in the mid 20s. Whilst summer is hot, homes and workplaces are generally very well air-conditioned. Most homes have reticulated watering systems with many households supporting outstanding gardens and lawns. In-ground pools are also a favourite with a very large proportion of home owners having one. The summer evenings are fabulous for outdoor entertainment whilst the winters are perfect for camping and the outdoor lifestyle. 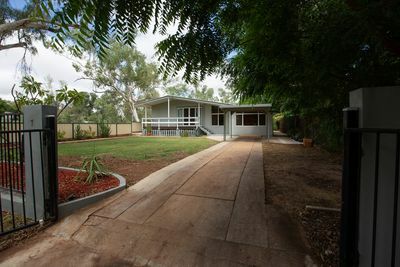 Mount Isa is a wonderful place to raise a family, facilities within the city are all a handy 5 – 10 mins drive or less, there is a selection of schools both state and catholic, a large assortment of sporting, musical and cultural groups and associations along with fishing and camping opportunities within the area. Mount Isa has two catholic primary schools and a senior catholic college, six state primary schools, one state junior high school campus and a secondary high school Campus, located next to the Mount Isa Institute of TAFE. Mount Isa is a very active sporting town and we have exceptional sporting facilities including an 18 Hole Golf Course. Lake Moondarra is a 20km drive from the city and has been stocked with Barramundi over the past 10 years resulting in monster sized Barramundi up to 1.3m being caught. It is a relaxing way to spend the weekend or days off, whether it is water skiing, canoeing, sail boating or fishing. There are also great camping spots in the Selwyn Ranges which surround Mount Isa. Every August Mount Isa Rotary Clubs host the Mount Isa Rodeo, which is the largest Rodeo in the Southern Hemisphere. People travel from every part of the Globe to attend this event. The friendliness and support of a great community comes from the isolation, with many who come for a short time staying for much longer. 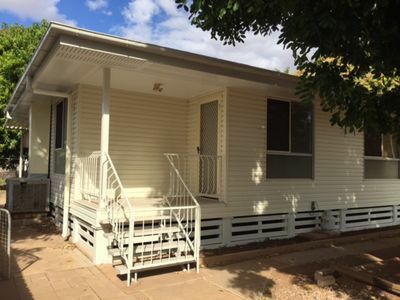 Jays Real Estate welcomes you and wishes you all the best for your future in Mount Isa.